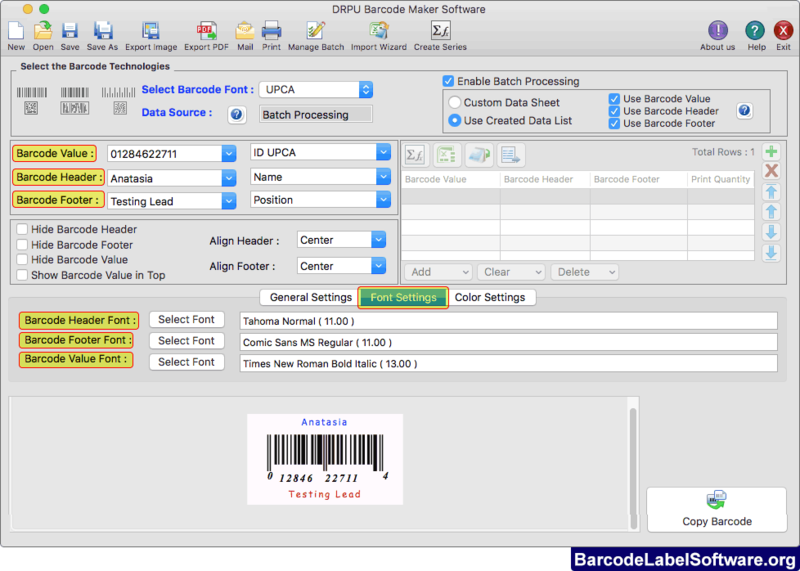 Mac Barcode Label Creator Software is integrated with a powerful technology to build user desired ready to print barcode labels supporting widely used Linear and 2D barcode font standards. 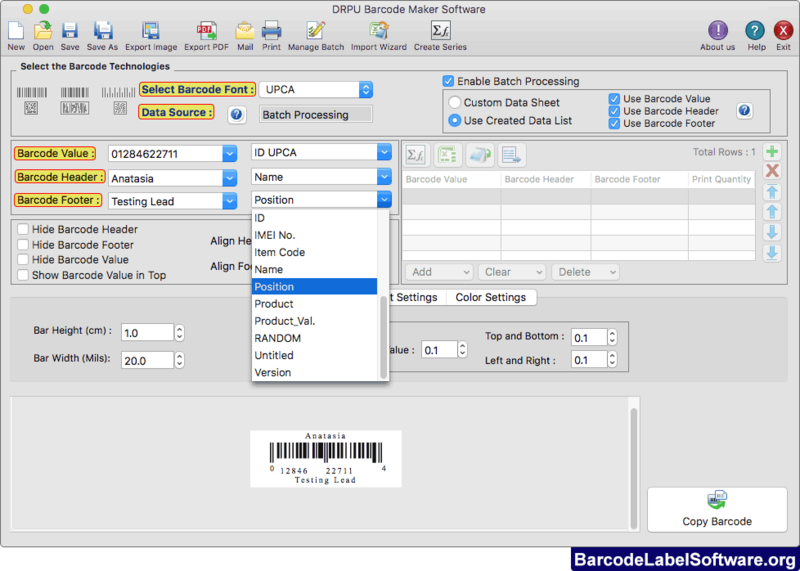 For user convenience in various commercial sectors, Barcode maker utility facilitate to generate multiple barcode labels using advanced series generating options comprising of Sequential, Random or Constant list. Broadly recognized in all industries including Telecom Sectors, Automobiles, Healthcare, Manufacturing and Shipping, Price Item marking etc, Mac Barcode Creator Software can be used in diverse applications to design and create Security tags, Price stickers, Coupons, Ribbons etc due to its versatile image designing and advanced printing abilities. Enter or fill various barcode properties (such as barcode font, barcode value, barcode header, barcode footer, general settings, font settings and color settings.) to create barcode label. Click on 'Copy Barcode' option to copy designed barcode label and paste at any application such as MS Word, MS Excel, TextEdit etc. Using Font Settings, you can select the font family and font size of barcode header, footer and barcode value. 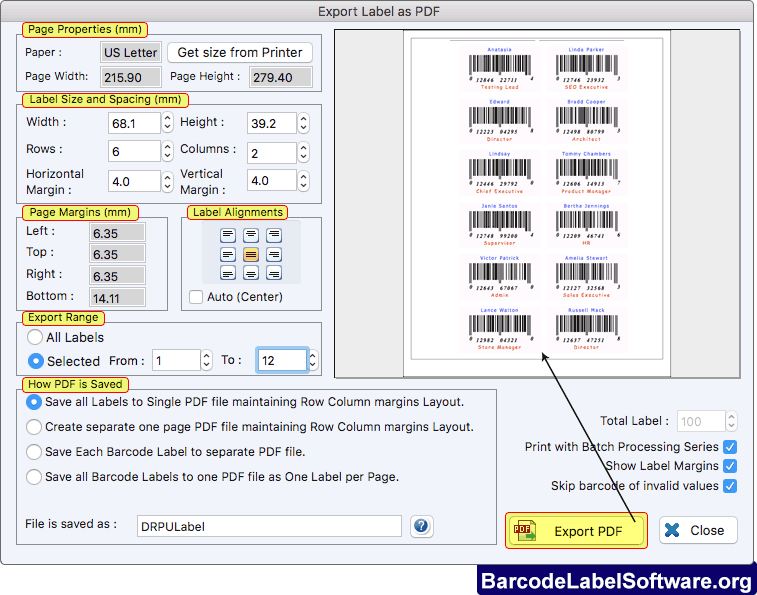 Program provides 'Export PDF' feature to export or save designed barcode labels in PDF file format. 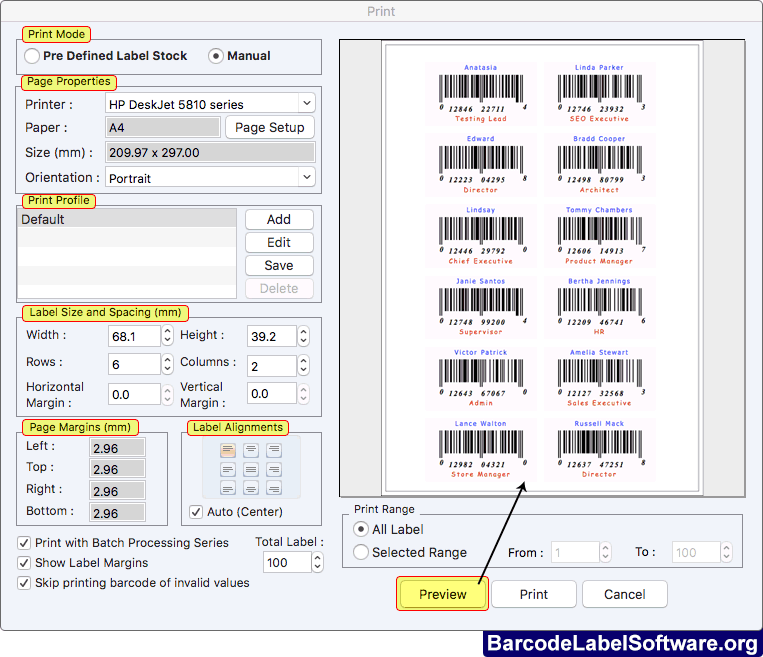 Fill various print properties and click on Print button to print designed barcode labels. Using Preview option, you can see the print preview of barcode labels. Created Mac barcode images can be saved in any of the renowned graphic file formats like JPG, JPEG, BMP, GIF, TIFF, PNG etc. Diverse font setting option allow users to build his preferred style of Mac OS supported barcode labels. Mac Barcode generator software generates multiple barcode labels for commercial usage by aid of the Sequential, Constant or Random series generating options. Barcode label printing software offers print preview functionality that enables users to view the print output sample before finalizing to avoid printing errors. 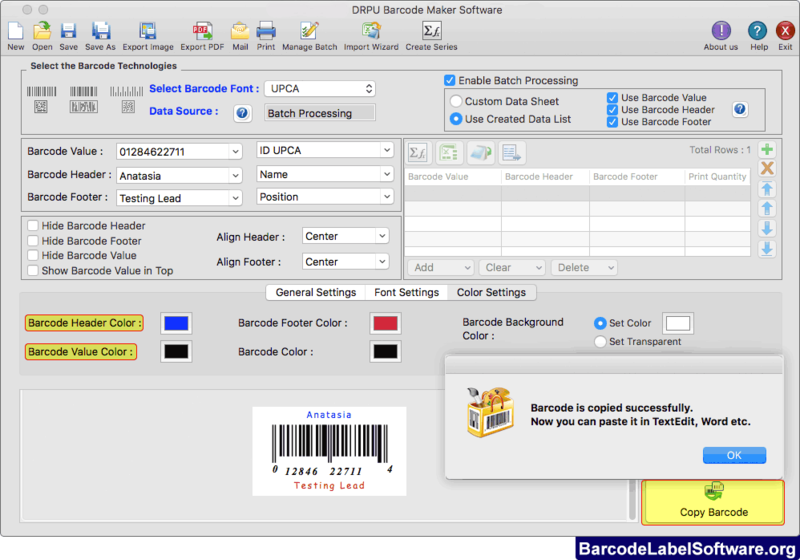 Multiple barcode labels can be printed at the same time by the barcode software on MAC machine.